Latest Update: Taraba State University (TASU) post UTME screening exercise registration deadline has been extended to 31st August, 2018. Taraba State University (TASU), Jalingo Post-Unified Tertiary Matriculation Examination (UTME) screening exercise application form for the 2018/2019 academic session is now on sale. Eligible candidates are to follow the procedure below to obtain TASU post UTME form. Applications are invited form suitably qualified candidates to the Taraba State University, Jalingo Post UTME screening exercise for the 2018/2019 academic session. 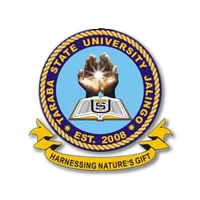 Taraba State University Post UTME Eligibility. Please note that candidates with Jamb score of 180 above are eligible to apply. How to Apply for TASU Post UTME. Eligible candidates are to visit the University website via http://www.tsuniversity.edu.ng/home/portal/application/register.php to register. Create a username and password and proceed to make payment of Two Thousand Naira (N2,000) online as screening charges to TSU account. Fill the form online and submit online. Then print online admission Screening Acknowledgement Slip/Receipt from the Portal. You are to upload all necessary documents (O’ level WAEC. NECO. NABTEB, A’Level IJMB. NCE, Diploma and JAMB Result etc.) indicate your O’ level scratch card pin number on the result. Apply Before: 31ST AUGUST 2018. Comment Text*Pls sir/ma when is D E screening exercise 2019/2020 for tasu commence? Comment Text*Pls sir/ma I want to know when is D E screening exercise for tasu 2019/2020 would commence? when are we suppose to expect the physical screening for TSU pls? Hello. Please have they realise the physical screening date for TARABA STATE UNIVERSITY?